Miller Auto & Marine has deep roots when it comes to the Central Minnesota community. Since 1932, our dealership has held a premiere spot amongst St. Cloud businesses and services, and we’ve always been grateful to be part of this area. The Miller family is from here, our team members are from here, and our customers are from here. Women dominate car-buying decisions – and play a leading role in 85 percent of auto purchases. While this information speaks to us at our industry level, women have major influence across all avenues. The Women of Influence Summit hosted by Next Monday brings women together to unleash their personal and collective influence and celebrate the influence in us all. This event provides an opportunity to give influence a name and helps women identify what makes their power meaningful. At Miller Auto & Marine, we see that power of influence each day in Central Minnesota and applaud the influencers who affect change in their personal and professional lives. We’re proud to partner with Next Monday on an event – or movement – of this magnitude. This event happens annually in the fall. For more information and to learn what the day will feature, visit here. For more event information, follow our Facebook Page. Day on the Lake: Miller Auto & Marine provides a day of fun in the sun with 30 Bigs and their Littles. We provide snacks on the water, and lunch back at the Plaza.Dairy Day: Each summer at a participating Coborn’s, Dairy Day features cheeseburgers and root beer floats sales benefitting Big Brothers Big Sisters of Central Minnesota. 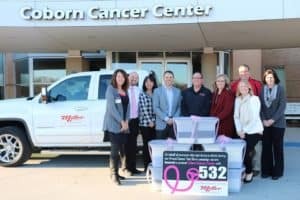 For every test-drive we hosted in October of 2017, we donated a seatbelt cover to the Coborn Cancer Center. In total, we were able to donate 532 seat belt covers that will be given directly to patients during their treatment. Thank you to all of you for helping us with our mission! For more event information, follow our Facebook Page. Central Minnesota is home to some beautiful golf courses, including Blackberry Ridge, Wapicada, Territory Golf Club, Boulder Ridge, Pebble Creek, Rich Spring, St. Cloud Country Club, and more. 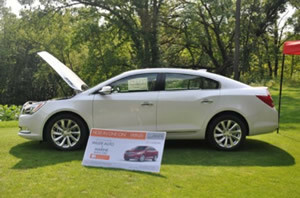 Each season, Miller Auto & Marine is proud to participate in the many charitable and fundraising golf outings area businesses promote on local courses.For more event information, follow our Facebook Page. An annual camp held at St. 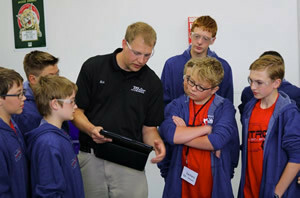 Cloud Community and Technical College for local kids interested in the automotive industry. We host the campers for a day of hands-on exploration of the service department, Reconditioning, and the auto body shop … plus lunch!For more event information, follow our Facebook Page. 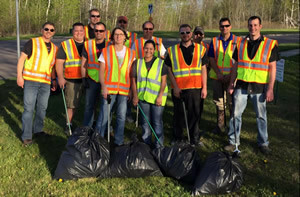 Doing our part to keep our beautiful Central Minnesota community clean and safe, year after year.For more event information, follow our Facebook Page. Each spring, Miller Auto & Marine grants one lucky senior at Sartell Senior High School a new car as part of graduation festivities hosted at the school.For more event information, follow our Facebook Page. 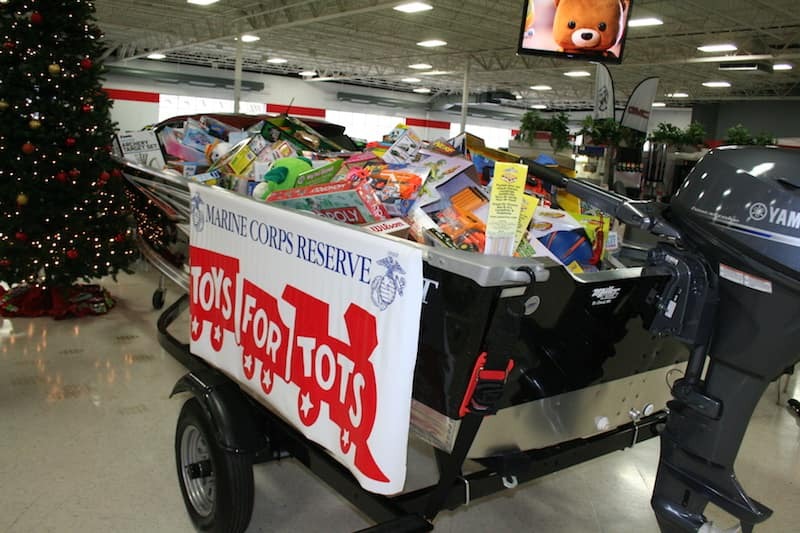 Collecting “boatloads” of toys for area kids during the holidays. We are a drop site for our employees, customers, and community guests.For more event information, follow our Facebook Page. Active participant in the Chamber Connection, and supporter of events at local businesses.For more event information, follow our Facebook Page. Twice a year, we invite customers to the Plaza for lunch, prize giveaways, and family fun.For more event information, follow our Facebook Page. Miller Auto & Marine is a proud host of an annual American Red Cross Blood Drive. The overwhelming participation is humbling and the support of our community means so much to the patients whose lives are being impacted. Starting in 2018, we decided to reallocate some of our advertising dollars and give back to our local schools. We talked to a few schools and found out there is a need for Back Packs and School supplies each year for less fortunate students. We reacted almost immediately to this need. 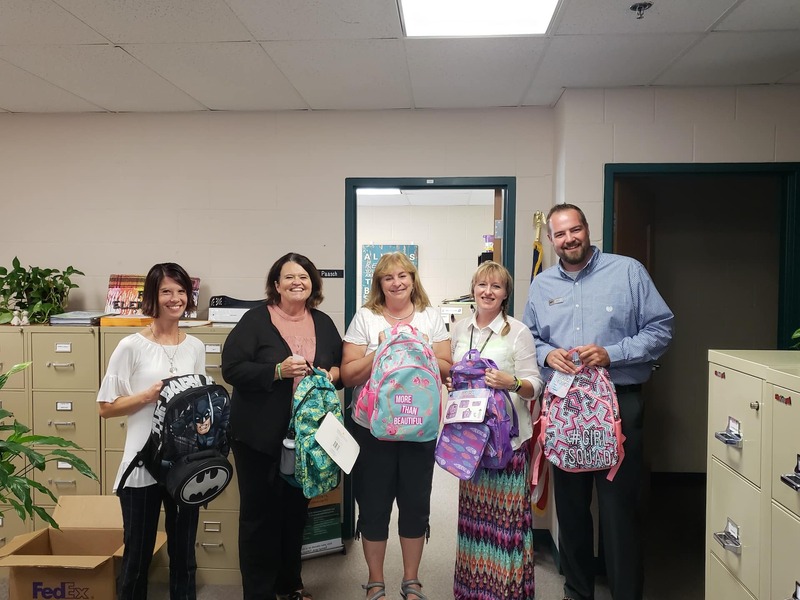 Some of our employees worked with SHOPKO and purchased nearly 200 backpacks and filled them up with school supplies. During Open house weekend, we delivered school supplies to 8 different elementary schools so they could distribute during open house. This was a great experience for both the schools and our employees. There is nothing better than giving back to your local community especially when you know it will help students Focus on Learning and not what they have or don’t have. We plan on doing this every year going forward, so if you are interested in partnering with us on this, contact our Marketing Manager at 320-529-4169. 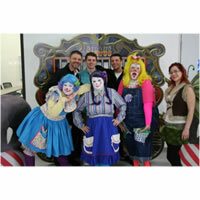 Each year we pick a charity and dedicate time and fundraising towards it. In 2019 it is Central MN Habitat for Humanity. Habitat for Humanity is a nonprofit housing organization working locally and in nearly 1,400 communities across the United States and in approximately 70 countries around the world. Habitat’s vision is of a world where everyone has a decent place to live. Habitat works toward this vision by building and improving homes in partnership with individuals and families in need of a decent and affordable place to live. We Host a $7 Lunch each month at our dealership where our employees can come and get a healthy lunch. The proceeds from this lunch are donated to Local Habitat for humanity projects. 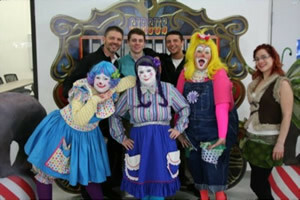 Throughout the year we will find and create new ways to donate to this program. Not only do we encourage our employees to participate, but we also make the general public aware through our networking and advertising programs. We are excited to see what Miller Auto and Marine can do for this great organization. We intend on participating in the Build again this summer! For more event information, follow our Facebook Page. If you have any questions at all, please do not hesitate to reach out to me via email or phone. Miller Auto & Marine is proud to host a dinner at the Salvation Army PhilanthroFEED. 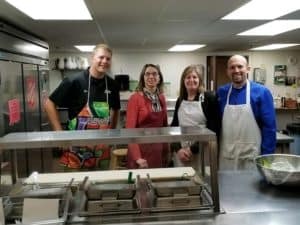 Serving a dinner at the Salvation Army is a humbling experience and a small way that we can give back to those in need in our community.